Fertility is the number one driver of profitability. No matter how well they grow, how well they grade, if she can't reproducer herself, she can't be profitable. We could have both animals that are great in terms of performance and carcass quality, as well as fertility. MaternalPlus provides us an opportunity to record reproductive data and to produce estimates of fertility. The graphs through the program are also very helpful. MaternalPlus is a tool the association gives you. You can choose to use it or not. But, MaternalPlus can give a breeder and their commercial customers a competitive advantage. MaternalPlus has made us more of a system thinker. It allows our ranch to find the cows that aren't working, but more importantly it allows us to report that data to the association. We don't have to put a disposal code on every cow. We just have to get it cleaned up. The association will work with you on this. This is the first big step; getting your cow inventory cleaned up. Sending data into the association has always taken time, whether it was reporting weaning weights of 1984 or more recent tasks. But reporting this information is what has made Angus bulls valuable for commercial customers. We have learned to value having a scale on our operation. We need to learn to value MaternalPlus. We need to celebrate each time we have a new tool. "Decide and make the mindset that this will be worth the effort." Choose a time that is best for your annual enrollment. 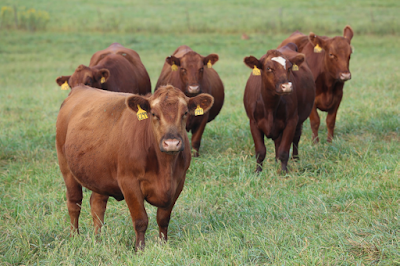 Avoid breeding season, calving season, and your annual bull sale. Keep track of all of the cows you ship. Keep the records as you are shipping the cows to the sale barn. Keep track of why she is on the truck to the sale barn. It is as simple as enrolling, and then everything remains the same. If you used AIMS, you continue to use AIMS. If you have used AAALogin, you continue to use AAALogin. If a cow is removed from your inventory, you can still look up her data from Production Reports (she won't be in your inventory list). Angus has a prototype productive life EPD. Allows cows to receive credit for each month of life in production. Also uses disposal codes to weed out cows that left the herd for reasons that weren't her fault (e.g. drought). We have got to characterize reproductive performance. The Milk EPD has a heritability of 14%. This is exactly the same as heifer pregnancy EPD. "Other breeds have done it. 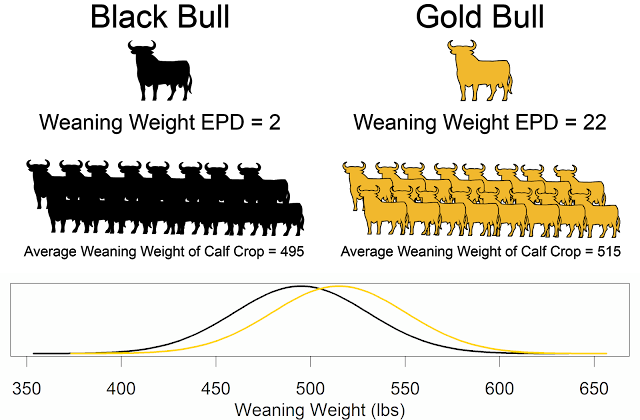 They have used whole herd reporting to estimate longevity and other reproduction EPDs. They find heritabilities around 15%, which is plenty of genetic variation to find differences between sire groups," affirmed Moser. "We don't want to disposal code ourselves to death. Just getting a disposal code that she is open is great!" said Amen. "Before the speaker [Ken Schmidt] rode a Harley, first he rode a bike with training wheels." MaternalPlus is the training wheels program for Angus breeders. For more reporting on this session see "MaternalPlus®: What’s it Worth?" by Nicole Lane.